Potatoes are a staple for most plot holders. I had stayed away from them in the first year because we were focusing on creating the raised beds and I didn’t think there would be room, then, having seen too many tubers eaten by slugs or damaged whilst being dug up I convinced my self that they were not an option. I am however particularly keen on salad varieties and seeing some seed potatoes at Ayletts shortly after watching a program about growing them in bags I thought it was worth trying. I read all the information I could find, did lots of things wrong in terms of storing them and chitting but was still pleased with the crop. Planted at the end of March we had our first potatoes in June. These are Pink Fir Apple, the colour of the skin is beautiful, it almost sparkles. The main advantages of growing them in the bags, we used Burgon and Ball, were that we could leave them there until we wanted to use them, they didn’t get damaged in anyway and that because they were grown in compost they were very easy to clean. 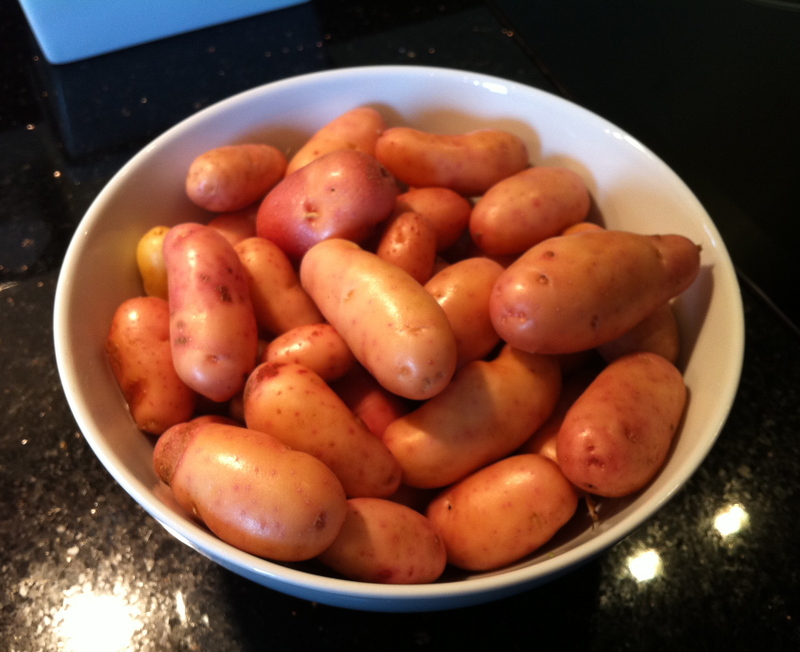 It is also an ideal method if you want to grow potatoes and have a limited space. Three bags with eight potatoes to the bag kept two of us supplied through the summer. So being far more careful this season (let’s face it why spend all that time and money and take the risk) I am going with Pink Fir Apple and Ratte.